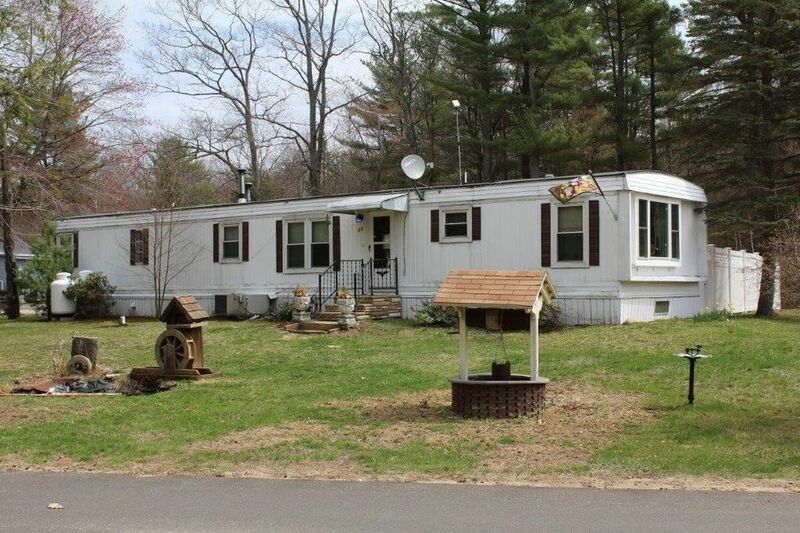 14x66 manufactured home in the 55+ community of Waterwheel Village. Corner lot site with large yard and a mixture of shade trees, lawn and perennial gardens. Huge sunroom with wood stove over looks the back yard. Unattached heated workshop/shed and ample off street parking. 2 Bedroom home with one bath. Water and sewer provided and maintained by Waterwheel Village. Replacement windows, rubber roof on house, recently updated electric service, propane powered Generac whole house generator, wood stove in back sunroom and vinyl fence. Nice area for walking with a wilderness pond in park and many walking trails nearby. Located near entrance to park and a short walk to the newly opened restaurant. No property tax bill, included in monthly fee.